Robert Bumaro, current leader of the Church of the Broken God. Date unknown. Special Containment Procedures: Information on the relevancy of SCP-001 to the related anomalous objects are to be omitted from the respective objects' documentation. While connections with the Church of the Broken God can remain available, the origins of the items are to be omitted or obfuscated. The inactive component of SCP-001 is to remain in its current location, and any shipping or diving is forbidden in that area. Civilian discovery of SCP-001 is to be suppressed, and amnestics are to be utilized in order to maintain classification. 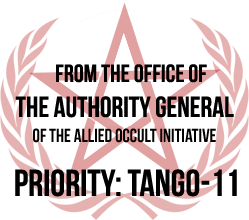 Persons affiliated with the Church of the Broken God who make active attempts to seek out the inactive component of SCP-001 are to be taken into Foundation custody and questioned. Information pertaining to SCP-001, whether physical or digital, is to be confiscated and contained. The inactive component of SCP-001 is expected to remain inanimate; however, should SCP-001 experience spontaneous reanimation, all active Mobile Task Force units at nearby Site-27, Site-44, Site-90, and Site-101 are to be assigned to active countermeasures. Should this event (currently designated an 001-Apotheosis Event) occur in the modern world, it is believed that current means of information suppression would be insufficient. It is likely that an 001-Apotheosis Event would result in a SK-Class "Broken Masquerade" scenario2, and likely following that, an XK-Class "End-of-the-World" scenario. Extant active components of SCP-001 are not to come within 20km of the inactive component of SCP-001 under any circumstances. Description: SCP-001 is a collection of anomalous items, formerly a single, massive mechanical entity assembled by members of the Church of the Broken God in late 1942 near La Paz, Mexico. Items include SCP-217, SCP-1139, SCP-882, and several internal components of SCP-629.3 A full list is available here. Members of the Church combined the various anomalous objects in an effort to restore their deity. Upon activation, SCP-001 reportedly began to integrate metallic objects into itself while actively seeking other anomalous objects. 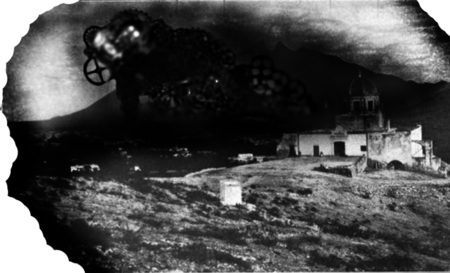 SCP-001, and the resulting "001-Apotheosis" event that took place as a result of its assembly, was the cause of significant environmental changes in western Mexico, and required one of the most widespread use of amnestics to date. Post-event, the active components of SCP-001 were taken to Foundation sites for containment, while the inactive component of SCP-001 remained on the bottom of the Gulf of California, at approximately 23.807269, -108.418369. Fernand was the first… I think, the first who contacted me after they had found the heart. The way they described it, the fervor that was in their eyes, it captivated me and I knew then. I knew that they had done it. I went to meet with Anthony and Salvador the weekend after my sister's confirmation… when they showed it to me I was taken aback. 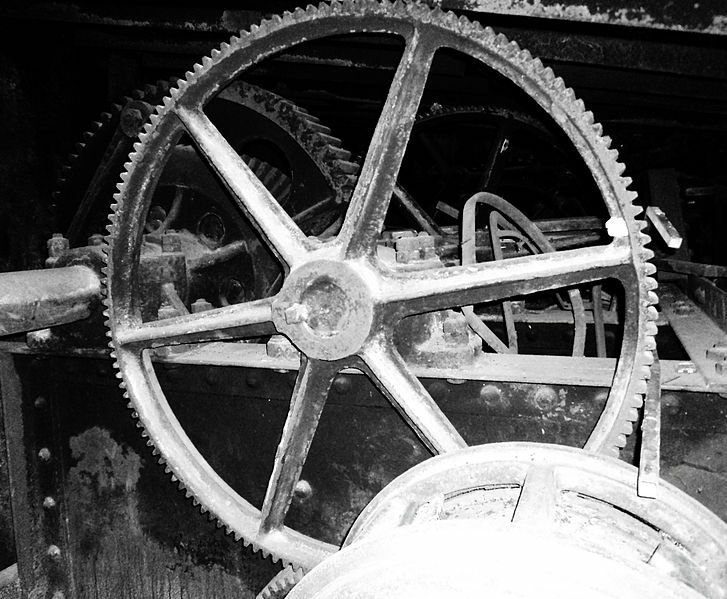 It was little more than a pile of gears, pistons, ticking pieces of clockwork and lubricated metal parts, all dutifully churning along without a power source. Within it I saw the heart, just as they described. It spoke to me. Not like you and I would speak to each other, but… with images, and feelings. And pain. It was in so much pain. Like the spark that had given it life had made it realize what it was, or what it wasn't, and it desired only to be whole again. I begged Salvador to take it back to that beach and undo it, that it was not right, but they would hear nothing of it. It started moving before I left, shaking enough from side to side that it could achieve locomotion. It hobbled over a wrench, and the wrench became part of its body. They said to me, "Our God is unbroken!" It didn't use words, or any kind of language. It would make metallic sounds but at the same time… Images and concepts would come to mind when we were around it. Have you ever felt, when you have a thought or idea— and it's all there, born whole in your mind— you still had to think the words for it, despite knowing the sentiment before you finish the sentence? It was like that, but from an alien mind. Truly the words of the divine. There were a few Wolves — wait, you know what those are, right? They're like… like hunters, they work for the Horizon Initiative. They confronted us near a church in Santa Margarita, wanted us to turn in the stuff that we had collected for the Church of the Broken God, like the Abrahamic stuff we handed over. We deliberated on whether we should give it to them — our stance with the HI has been a bit shaky, moreso in recent memory. While we have been on good terms with the local Broken Churchgoers, the Wolves were more… well, are more aggressive. We looked over what we had, and while we did, this woman walked up. I don't know where she came from. She dressed like a hippie; thin, iron chains for hair, but she seemed distant the whole time. The look in her eyes, her abnormal smile, like she was hardly there. She looked at what we had and said she only wanted this, uh. I don't actually know what it was. A metal box, it whirred and clicked, and put out this little beam of light on one end when I picked it up. Felt lighter than I would have thought. I asked why that was important to her, and she said that it'd be easier to show me than tell. She closed her eyes and bowed her head. She didn't move or speak after that, so I closed my eyes as well. She brought her forehead to mine, but kind of offset. We stood like that for a second, foi muito estranho, before she suddenly moved her chin down, made me jerk down slightly. …S-sorry. It was an experience. No, it was not a religious experience, but… yeah. She told me to pick the box back up and it felt a lot heavier than before. I couldn't tell if it actually had more weight, or if it felt more… significant. I gave it to her and wouldn't hear anything otherwise from the Wolves or my teammates or my superior. Image taken from Church of the Broken God information repository. Believed to be early incarnation of SCP-001. Williams: Alright. You mentioned the heart earlier. Were you there when they found it? Randall: No, not at all. I was out of the country at the time, working with a new mission in Panama. I only heard about Ezekiel after the fact. 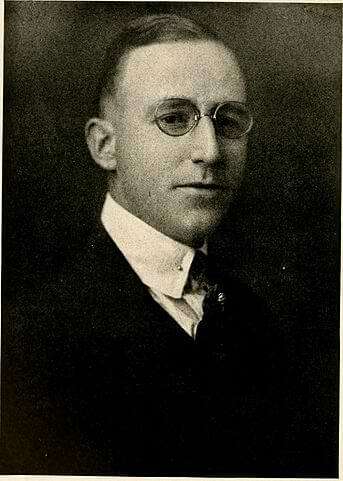 Randall: One of Bumaro's agents. Before he was made leader of the church, Robert would keep a number of them around, these individuals who were in tune with God and could feel its presence, speak to it. Ezekiel had discovered an artifact of some value, and Bumaro took him on afterwards. These agents were the first to experiment with the augmentations, as well. As you can imagine, many of them died. Randall: No. He was very close to Bumaro, and I don't know if he would have risked Ezekiel's well-being. It doesn't matter, Ezekiel didn't need augmentations to speak to the God. He was just… capable. Williams: So what does Ezekiel have to do with the heart? Randall: You heard Avery tell you that they had a stockpile of artifacts, right? Anything that one of these agents touched, if they felt something they would have it shipped to La Paz with the rest of it. Most of it was worthless, but every now and then they would find something legitimate. The purifier, the one— whatever you call it, one of the agents discovered that near Nepal. They had tendons and ligaments and everything else, but they were all just parts. They would move on their own, but they didn't do anything together. Williams: How do you mean? Randall: The texts refer to the God reassembling itself once the pieces are brought before its heart. All you need do is to feed the heart a limb, and the God will have a limb. But they couldn't find a heart. There were (pauses) a couple of agents who had claimed to have found one, but they were all the same useless piece of machinery as the rest. Williams: Where does Ezekiel figure into this? Randall: Ezekiel was the one who told Bumaro that, if they could not find a heart, maybe they could build one of their own. This, at the time, flew directly in the face of the Church doctrine. The leadership, if they had known, would have excommunicated him. But it was quickly becoming clear that the project couldn't last through to the summer. I was sent in with my mission to resupply them after Ezekiel had left, and their supplies were nearly exhausted. Williams: Our records indicate that the heart was something they discovered. Is that not true? Randall: Of course it isn't true. You can't preach to a congregation about God giving parts of himself to you and then turn around and tell them that the most essential part is something you conjured up out of nothing. Worse than nothing, though. The details of what they did to create that heart and make it live were never revealed to me, but you can draw conclusions from evidence. There was a drought that year, and the polio crisis hit an all time high. Thousands died, all of natural causes. A freak event, never accurately recorded because of the attention on the war. Dios mio, but who can say. Williams: You think the two are related? Randall: I think the timing is too coincidental. And knowing what I know about what that thing became, I think the answer is clear. That was not the heart of God, agent. That was something altogether different. Video recovered from local documentary film crew. Shot begins on a destroyed home, the wreckage centered around the garage. Metal fragments and strips of rubber trail down the driveway and onto the asphalt, and go down the street. Pieces of various automobiles are strewn across the street and sidewalk. The trail leads to SCP-001, which is integrating a truck into its chassis. SCP-001 continues to the nearest house, where it begins consuming the gutters. Residents of the area flee the scene, several injured by discarded shards of glass and twisted metal discharged by SCP-001. Lights produced from various parts of SCP-001's body focus on the various prone figures. A section along the undercarriage of SCP-001 alters and drops away from the main body, which continues down the street in search of more sources of material. The ejected subsection continues alterations, forming a vertical pod somewhat resembling a human spine and rib cage. Pod collapses in various areas, the rib-like protrusions extending outward as the rest of the pod changes into a humanoid form roughly three meters tall. Light is produced from the head, which is focused on a nearby civilian. The metal humanoid picks up the civilian, who appears to be dead, and places it into a small chamber between the humanoid's ribs. The ribs vibrate as the humanoid approaches a second civilian, who is attempting to crawl away. She attempts to struggle as the humanoid lifts her and places her inside its chest cavity. The humanoid turns away from the camera to approach a third civilian, and what appears to be the woman's dismembered hand falls to the floor. A growth on the humanoid's back slowly expands as it continues to gather bodies, the body of the humanoid decreasing in size as it does so. By the sixth consumed body the growth is larger than the humanoid, and it is unable to continue bipedal movement. The limbs recede into the body and the ribs extend to allow it to scuttle onto the roof of a nearby house. It remains in place for twenty minutes. The bulbous exterior cracks and is torn away from within, revealing three humanoids. They each appear to be symptomatic of SCP-217, and exhibit physical characteristics of the six captured civilians. One, a female with chains extending from its scalp, shakes another, which appears to be dead. The third, a male with clockwork limbs, examines itself before jumping from the roof, landing on its stomach. It does not appear to be damaged by this, which seems to cause it distress. It then pursues SCP-001, which is consuming another vehicle farther down the street. The female humanoid notices the camera crew. It begins to wave, but quickly stops. It looks toward SCP-001 before jumping into the backyard, and out of the camera's view. Note: The following is audio from a taped phone conversation between an agent of the Church of the Broken God (name unknown) and Robert Bumaro. The call was recorded in December of 1942, and was collected by Foundation personnel during a raid on a Church stronghold in 1966. Bumaro: Ah, of course. Bless you, child. How is the little lord? Agent: Stronger every day. We had to move him from the back of our office into a warehouse nearby. Bumaro: Good. When will you be moving to Peñasco? Agent: Within the week. We are only waiting for the next train. Bumaro: (To someone in the background) Tomorrow, tomorrow. Bumaro: Yes. We had expected them to head north, but they've come west instead. A minor setback. Bumaro: (Cuts off) A minor setback. They don't know where it is, and even if they did, that isn't their priority right now. Their eyes, and the eyes of the rest of the world, are on Europe. As their gaze settles there, they will not realize our accomplishment until they are powerless to stop him. Agent: That was, uh, something else I needed to ask you, Father. Bumaro: (Cuts off again) What is the issue? Bumaro: Nonsense. The heart of the devout may speak directly to our God. Can you not hear his words when he reaches out to you? Do you not feel the machine moving inside of you? Or do you need more proof other than the living, breathing God before your own eyes? Bumaro: I will hear nothing of it. For years, we have prayed and asked for our God to be unbroken before us. And now, he has presented himself. We know that the divine will speak to the heart of the devout. If you are telling me that there are none among you who are devout enough to commune with our Lord, tell me now so you can be replaced. Agent: Our faith is strong, Father. Please, forgive my insolence. I am only misguided. Bumaro: See to yourself, then. I worry for your faith. Have one of your brothers, one who is stronger than you, have him speak to the Lord and tell him of the necessity for secrecy. Our Lord will understand, no doubt. The Unbroken God is a reasonable god. Agent: Yes, bless you Father. 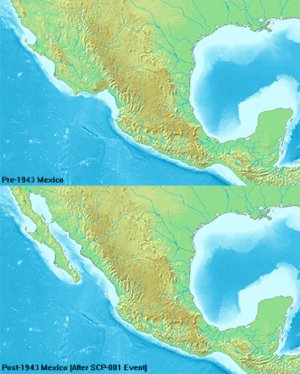 Mexico, before and after the 001-Apotheosis Event. The following is an interview conducted with Foundation Commander Mark Peterson of Site-74. The director, who prior to the 001-Apotheosis Event was stationed in Mexico City, was on-site with Foundation personnel in La Paz during the Event. Director Cornwell: Start again from the top, we're recording now. Commander Peterson: Alright. The first reports we got about Church activity in Mexico were in '41, but it was all pretty minor at the time. 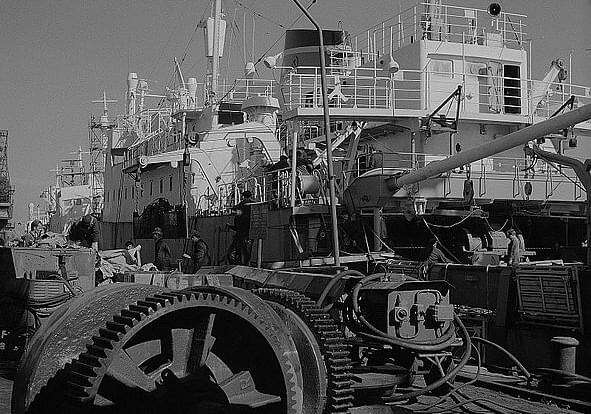 We had just finished field operations near the border up north and were preparing to move our assets to Atlanta for deployment to France. We had just gotten our orders to retrieve a series of sensitive objects that they didn't want to get into the hands of the krauts, and they were going to move our entire division to get it done. Leadership wasn't sure that Roosevelt would make the call to move in enough time for us to blend in with the Americans, so we were going to have to go in separately. The whole thing was a mess. Director Cornwell: What kept you in La Paz? Commander Peterson: I was there on accident. One of our trains had taken the overland route to La Paz, probably to pick up some of the armaments we had there. Turns out that train was supposed to head north. So all of a sudden most of the leadership south of the Rio Grande is in La Paz, which in retrospect probably did us a lot of good as far as the overall effort is concerned. Director Cornwell: When did you first hear about the 001-Apotheosis Entity? Commander Peterson: (Laughs) Jesus. Is that what they're calling it now? The machine, I guess, we first heard through the grape vine of increased activity in the area in… I guess it would've been a little over a year ago. We ended up in La Paz in October of '42, so… yeah, that sounds right. The first concrete evidence we got that something was wrong was when a train of… refugees? Seems kind of silly to call them that, but I guess that's accurate. They showed up in La Paz near the end of October, talking about how their entire town had been mulched. They didn't really elaborate much, just kept saying "la máquina, la máquina," you know, "the machine". That's why we were calling it that, by the way. We had no idea what it was supposed to be. Director Cornwell: What about your first interaction with the entity? Commander Peterson: Well, the rail stopped running, if that's what you mean. We got word from the local authorities that there had been an accident up north, and that the trains weren't heading to the border anymore. It wasn't a huge issue for us, since we could've taken a couple of vehicles and headed east until we hit one of those little towns at the foot of the mountains. Most of them were hooked up to a separate rail line entirely, and we could've gotten out that way. But the big stuff, the stuff that the train had been sent to La Paz for, couldn't just be moved. So we were going to wait it out. Then DeMarco had the bright idea to send a party up the rail-line to see where the hold up was, and see what we could do to clear it. He led the expedition himself. Director Cornwell: What happened to Agent DeMarco? Commander Peterson: You know damn well what happened to him, Bill. Director Cornwell: For the record. Director Cornwell: Are you alright? Commander Peterson: Yeah. He tried to kill it. He probably knew then what we wouldn't find out until later; that we couldn't contain this thing. There wasn't a hole in the world big enough to put it in, or a box that it wouldn't eat its way out of. But it didn't matter for him, or anyone he went with. The Machine didn't care. Director Cornwell: When did you first see it? Commander Peterson: December. Once we'd hunkered in, I was part of an expeditionary team that flew up there to get a good look at it. It was already… I mean, you saw what it did to that side of the country. I've never seen anything that big that could move. It was like a mountain of moving parts, blackening the sky as it burned through whatever it was shoveling into its chest. And it was small then! It was… I don't know. We all had XK-Event preparation training, but this went above and beyond anything we had trained for. It was inevitability. We knew that we were going to die, and this thing was going to kill us. It was just a matter of when. Note: The following are excerpts from written correspondences by Foundation personnel stationed at La Paz, recovered from the temporary site in the wake of the 001-Apotheosis Event. Names have been omitted. I don't even know if this will get to you. None of the trains are running, but our commander says that we can still get letters out. I hope it does, I'd like you to read it. The skies down here have been dark for weeks. Smoke from up north every day, makes it hard to breathe. They still don't have indoor plumbing here, and nobody but the other guys in our company speak English. We still don't know what we're down here to do, either. I keep hearing we're here to fix the rails, but why aren't we going north? Aren't the breaks in the rails up north? A man came into town today with damn near half of his face cooked off. He was like a dead-man, didn't respond to anybody. He got towards the middle of town and collapsed. When he finally woke up in the infirmary later, he was delirious. Telling a story about a machine the size of a mountain that spoke to you. Said there were people jumping out of their homes and running, just to throw themselves in it. Said they were shredded, like jumping under a lawn-mower. Then he died, and nobody knows why. The mountains crumbled before our own eyes. We saw a figure rising through the smoke, slow and lumbering but with terrifying momentum. It didn't crawl like a beast or walk like a man, but was propelled forwards by the turning of a million cogs, like an iron centipede. Its body extended upwards, into the smoke, higher than we could make out. Within its chest we saw fire, like the furnaces of Hell. It came to the mountains north of us and did not stop, or go around, but went through, and devoured them. It reached out with a long, pulsing arm, and pulled an entire village into its maw. I saw men leaping to their death as their homes were swept away, into the same inferno as the rest. And it howled, not just through the grinding of the gears and the churning of the machine, but in our minds. I could hear it in my heart. It was screaming. Temp site lost. La Paz in ruins. Mechanical entity contained. Massive geological alterations. XK avoided. Requesting amnestic support. SCP-001. Image recovered post-event, and is heavily damaged. Photographer unknown. Addendum 001.07: Interview with GOC Lieutenant "Revenant"
Note: The following is an excerpt of a post-event interview conducted with a GOC lieutenant, codenamed "Revenant". The recording of the interview, and all transcripts thereof, were collected by Foundation agents during a negotiated information exchange in 1992. To date, the identity of "Revenant" is unknown. There's this story that gets told among Foundation agents, something that the grizzled veterans will tell the greenhorns during the long nights of guard duty on some cell block or another. I don't know who started it, but I know they still tell it. It's been a half-century, and they still get it right. You can give them that much credit. They say, "Don't you know? The GOC killed God." But the greenhorns will say, "No, that's not true. God is in a cell at site-whatever. The GOC didn't kill God." And they're talking about that type green they've got locked up somewhere, the one who thinks he's the Christian god. Then the vets will smile and shake their heads, and won't say anything. Because they all know. They know that in 1943, in the midst of the Apocalypse, the Foundation could do nothing but watch the end while the Allied Occult Initiative, a poorly funded, undermanned, inadequate predecessor to the Coalition, saved the world. The metaphorical gun was found on an island off the coast of Greece. I can't even remember what it looked like, all I get is that sort of fuzzy recollection the amnestics leave you with. But I distinctly recall it wasn't as heavy as you'd think. Why the amnestics? I was with the detachment deployed to the area, and apparently one of the pieces had some mind altering effect to it. I have a vague sense of feeling something wrong, so I'll take their word for it. I don't remember what it looked like, I can't recall how it destroyed that much land. Hell, I barely remember when it happened and the only reason I know where is all the before and after maps. But I can still feel it, in my gut, that that wasn't how things were meant to be. We stood before what looked to be an angry and vengeful God, and all it did was beg us to kill it. We were all too happy to oblige. Note: The following is a transcript of recovered video footage, roughly thirty seconds in duration. The transcript of the clip was authored shortly after its recovery, though the video has since degraded and is no longer legible. The footage's audio is in acceptable condition, and is available for access below. Recovered Audio: Warning: The following audio snippet is at a high volume. 00:01: Recording opens on a town. Many buildings are collapsed or engulfed in flames. There is significant seismic activity present. 00:03: Video pans to show SCP-001. Size is indiscernible in the video, but the entity takes up the entire frame. It is slowly moving forward. 00:09: SCP-001 is seen moving large amounts of earth into itself. Occasional flames erupt from within the entity. 00:15: Air raid sirens become audible as the sky lights up, as if by lightning. The clouds directly over SCP-001 part momentarily. SCP-2399 is visible, its underside slightly damaged. Foundation mortar fire is seen passing overhead. 00:20: One such mortar strikes SCP-001. No damage is visible. 00:22: The underside of SCP-2399 is glowing blue. 00:24: A bright beam of light erupts from SCP-2399 and strikes SCP-001. SCP-001 violently reacts and reaches towards SCP-2399. 00:26: There is an explosion. Nothing can be seen on video. 00:30: As nearby people scream, video ends. Early image of SCP-001, during the evacuation of a nearby town. 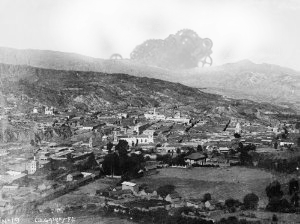 On July 17th, 1943, agents from the Allied Occult Initiative contacted Foundation directors stationed at La Paz, Mexico, and requested assistance with transportation towards the site of the 001-Apotheosis entity. Foundation operatives moved quickly to dispatch a plane to retrieve the AOI members. After arriving, the agents described a unique anomalous artifact they had in their custody, and how it might be used to slow the advance of the 001-Apotheosis entity. Three days after arriving at La Paz, on July 24th, 1943, the Allied Occult Initiative dispatched a single agent to the site of the 001-Apotheosis entity, with the anomalous artifact on their person. On the morning of July 25th, 1943, as the 001-Apotheosis entity approached the shore of the Pacific Ocean another massive, mechanical construct4 appeared overhead. The origin of this entity is currently unknown. Records of the event following the appearance of SCP-2399 are incomplete and likely inaccurate. The result of this engagement was the annihilation of SCP-001. SCP-2399 disappeared and was later discovered in low-Jupiter orbit in a state of disrepair, though the reason for this is currently unknown. The remaining inactive component of SCP-001, a massive, unassembled group of machine parts, remains at the bottom of the Gulf of California. Upon removing SCP-882 from the inactive superstructure, the remainder collapsed and became wholly inert. Following the 001-Apotheosis Event, a massive amnesticization of individuals in and around the area now known as Baja California took place. These efforts were aided by the quantity of thick, black smoke that accompanied SCP-001, and current historical records describe the event as a forest fire. Significant effort was made to adjust maps of the area, as well as relocate displaced civilians. Because of the need for a widespread amnestic regimen, several experimental neurotransformers were used5, and because of their poorly understood side effects, it is estimated that no fewer than two million people across the world died in the decade following the 001-Apotheosis Event. Note: The following document was given to Foundation personnel by POI-004D/001 (See Addendum 001.12). It is currently unknown how the document came into POI-004D/001's possession. Summary of Report: On December 30th, 1942, a rogue humanoid entity, anomalous in nature, was sighted by a patrol near a small island off the coast of Greece. This entity, who claimed no name and did not communicate readily in the English tongue, was carrying a small, cubic artifact no larger than a baseball. The entity appeared to be feminine and had a number of steel chains extending from its scalp. Entity was originally willing to give up possession of artifact (classified AR-213), but become hostile shortly thereafter and began speaking. Entity made threats on the lives of the squad, and subdued two officers before being incapacitated by Sergeant Dixon. Entity made reference to the west of the Mexican country, demanding to be freed so that the artifact could be taken there. Further research has uncovered increased SCP Foundation activity in that area, as well as some minor geological disturbances. On the orders of Colonel Baghram, 2nd Platoon was ordered to ship to the site of the disturbances with the entity (classified EN-340) in tow. After boarding the ship bound for America, EN-340 became passive, albeit obviously uncomfortable and disturbed. Recommending further psychological evaluation of EN-340 upon return prior to termination. Once analysis of AR-213 is completed, artifact will be shipped to Zurich for incineration. Inactive pieces of SCP-001 being transported for processing and containment. Note: Agent Aaron Ruberson was on-site during the collection of SCP-001 artifacts. As the most senior member of Foundation staff assigned to the collection effort, he was required to submit a post-event statement. This report was filed at Site-17, until it was added to the other classified material related to SCP-001. It is unknown whether any other individuals had knowledge of this report, or if any copies were made. The following is an excerpt from that statement. We took what we could from the shores first. Little things, gears and pulleys and pistons, things like that. A lot of it was garbage, but they were still twitching, spinning, turning. They still had life in them. The small stuff sort of died off after a couple hours, but I heard that the bigger pieces were still churning weeks later. Like cutting the head off a chicken. The important parts, the ones we knew were actual Church artifacts, we managed to bag and get moved to the train in La Paz for transport. I counted, Christ, maybe a hundred? Individual anomalous artifacts. Some of the boys at the train station joked that they'd have to build a whole new site just to keep it all. We kept casualties low, fortunately. Mostly guys just being dumb around machinery, acting like it still couldn't take their arms off. Rodriguez got his hand crunched, and we had to help move him to the local clinic. I think we only had one death the entire time. One of the locals we hired to help dive down into the bay and get straps around the heart so we could pull it up. I didn't see it, but I heard about it. Said they found him with his head smashed between two moving pieces. Said it looked like he'd shoved it in there himself. But I don't know, I didn't see it. I did see the tags, though. You know, when a place manufactures something, and in order to identify where the part came from, they'll get a big piece of metal with their name on it and stick it on the side of the part? We saw plenty of those on other parts, the stuff that it had collected while it was eating its way to the sea. None of the Church artifacts did, though. They all buzzed along like everything else, but they weren't marked. You could feel something when standing next to them, like serenity. The whole project was like that, it felt calm. Like relief. Except for the heart. When we finally got it out of the bay, we had to keep it on the shore for a day because of the weather. Some of the locals started to get itchy. Said they were hearing voices, wouldn't go near it. Didn't matter how much money we offered them. Had to wait to bring in more support from the base up north just to get it loaded on a ship. Right, the tags. It was as we were leaving and loading it on the ship that was going to take it north that I saw them for the first time. I didn't even think to say anything then, didn't even pass my mind until I started looking into some other files. Then that ship crashed in the storm, and they lost the heart, and the whole time I kept thinking about those goddamn metal tags. I realized it then, I think. That wasn't a Church artifact, Johnny. They said "Property of The Factory6". Note: The following is an excerpt from an interview in 2009 with POI-004D/001, who claims to be part of a previously unknown sect of the Church of the Broken God. Contact was made with the cooperation of the Unusual Incidents Unit, who had interacted with POI-004D/001 as detailed in Addendum 001.01. So, tell me what you think you know. Well, you're not entirely wrong. And that's commendable, in this day and age. There are a few key details I feel you may be overlooking, and you may be overvaluing information handed to you by a self-admitted amnesiac. The GOC did not kill Yahweh, as they may so proudly proclaim. And that was not the Broken God they destroyed. It was a piece of it, surely, but would you show me a camshaft and call it a car? Oh, so you have some parts together. An engine, perhaps. But not a car. God is much simpler than that. God is everything. From the biggest star to the smallest particle. Each tiny parts, completely insignificant on their own. Doing whatever it is they're meant to do. Meshing together, gnashing at each other. All a part of a cosmic machine. The machine aspect was, at some point, likely simply a metaphor. An idea. But as I'm sure you know, ideas are powerful. They make things from nothing, or change things already there. And with a small spark of the divine, a symbol becomes real. Have a planet with as much life as there is here, you generate a lot of ideas. And you may ask me, "Why is it called the Broken God?" There are a few possible answers. Something as simple as translation issues. Reinterpretations made physical by the devout. Is "Broken" simply a poor translation of some more nuanced word? Was God a being that broke in the Big Bang? If so, why did it break? And what will happen if it's repaired? I can answer none of the questions save the last, but you already know the answer. Whatever God once was doesn't matter, ultimately. What matters, to you, is that that it must remain as it is. "Broken." God knows that. The more powerful parts, the mechanical components the more conventional sects may label as holy, they know they are not meant to be one solid thing. And even when forced together, a foreign force driving them, they know what they really are. Bits of the monster will work to destroy itself, deploy smaller entities to do the job. The GOC didn't kill it, they took the gun from its own hand and claimed credit when they pulled the trigger. The problem is that humans are too small a part of God to remember. Remember what it was like before. And so those like Bumaro will invent new ways to push us toward a singularity. Because that's what will happen. Did you see the underside of the destroyer? It was damaged even before the encounter in '43. And if you looked very closely, you might have seen the scars were getting closer and closer to the power core. It even managed to damage whatever lets it slip between the layers of reality this time. Eventually the monster will win. It will destroy the destroyer, devour it, and with its power consume everything. And I mean everything. God will return to being one gestalt being, a singularity, and then break. Only this time it may have some outside force within it. The rust of The Factory. The blood of a Daevite king. The Fifthists, Wondertainment, some random person on the street with enough spark in them to be a reality bender. They will have a hand in remaking the universe, and close the secondary loop of all this. No, that doesn't concern me. It's an eventuality, it's meant to happen. Who's to say it hasn't already happened, and your people were the winner? Maybe humanity itself was the winner. But that doesn't mean I'd be against putting it off, allowing the primary loop to continue. Yes, it's possible. I know you couldn't damage the monster last time, and that the destroyer may not be able to repair itself by the time it is needed. But who's to say you can't aid it? Or mimic those who will seek to rebuild God, and acquire outside help? Working together, nothing is impossible. Apart, we are Broken. But united, we are God. 1. The Maksur classification was codified in 1981 by the Foundation's Containment Committee, in conjunction with the Overseer Council, the Site Directors Council, and the Foundation Ethics Committee. Until such time that the Maksur-class was codified, SCP-001 was classified as "Neutralized," and the Maksur-class was created to replace this improper classification (See Classification Committee Records CA-10931, "Relevancy of the Neutralized Classification in Non-Standard Applications" and CA-10945, "Proposal: Maksur-Class"). 2. SK-Class scenarios will automatically trigger a backup of all sensitive Foundation information to maximum security data servers within self-contained, "deep well" sites (currently 117, 118, and 119). All non-essential personnel will receive mandatory amnestic treatment, and all major regional sites will go into a state of extended lockdown. Within current models, this state is indefinite. 3. This was discovered after the containment of SCP-629 via collaboration with Broken Church contacts. It is unknown how these components were initially collected by Doctor Wondertainment without knowledge of the Foundation or its liaisons within the Church of the Broken God, and SCP-629 itself is unaware of its legitimate connection with the Church. 4. Later classified as SCP-2399 and given an appropriate cover story for its Foundation file. 5. Specifically the U-Class, the UN-Class, and the UO-Class amnestics, all of which have been discontinued. 6. Due to the difficulty of close examination of SCP-882, these claims have not been verified.